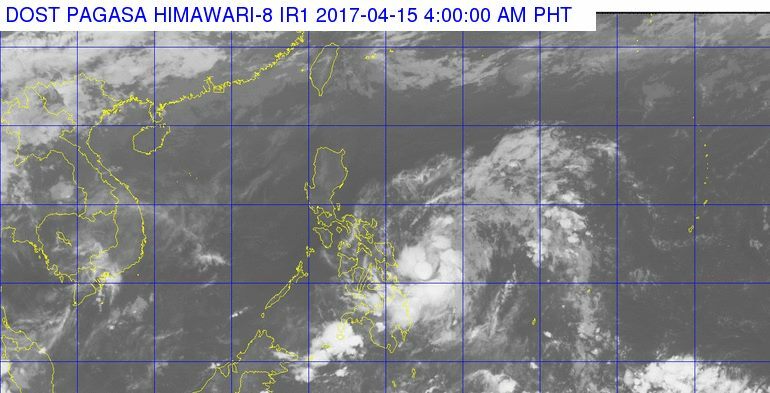 MANILA, Philippines - 'Bagyong Crising' has slightly intensified as it moves closer to Samar provinces, state weather bureau PAGASA announced in its 5:00 a.m. weather update on Saturday, April 15, 2017. At 4:00 a.m. today, the center of Tropical Depression 'Crising' was estimated based on all available data at 220 km East of Guiuan, Eastern Samar(10.9°N, 127.7°E). 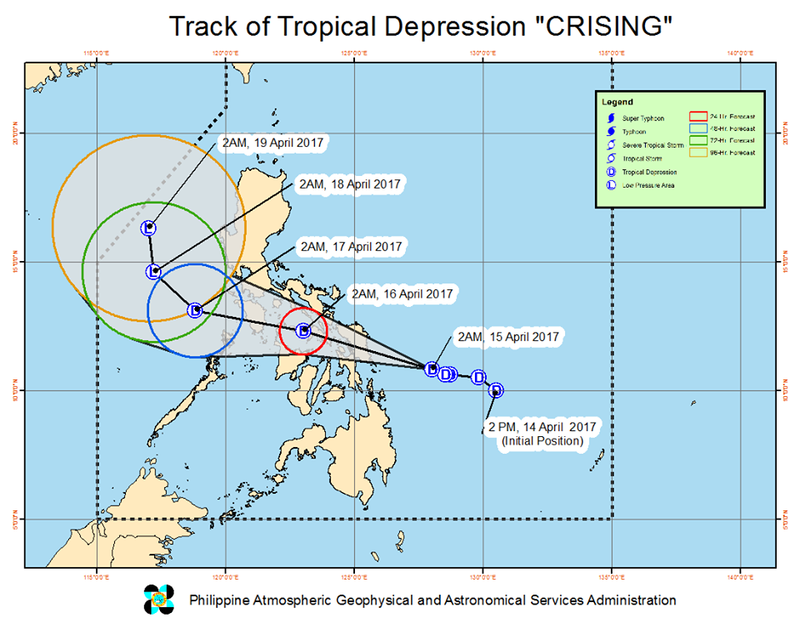 'Crising' has maximum winds of up to 55 kph near the center and gustiness of up to 68 kph. The cylone on Holy Week is expected to make landfall over Samar Island this afternoon (Black Saturday). PAGASA advised those residents in areas under Tropical Cyclone Warning Signal (TCWS) 1 to be alerted against possible flashfloods and landslides. The weather bureau also announced the possible inclusion of Camarines Norte, Marinduque and Mindoro provinces under TCWS 1 in the next bulletin.